We first featured Henry Remple’s Canadian-made F-Class bipod last winter and we still receive many questions about this product. Nick-named the “Ski Bipod”, this impressive unit offers unrivaled stability from an ultra-wide footprint. 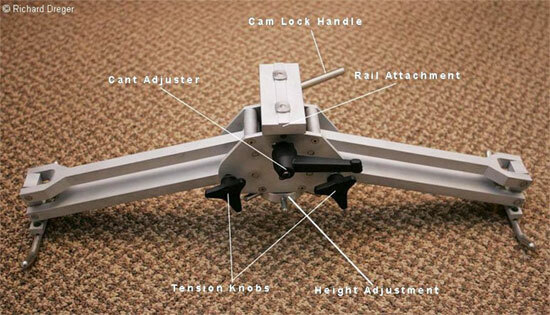 The height of the bipod is adjustable as is the distance between the runners or “skis” that contact the ground. And there is a cant adjustment allowing the rifle to be leveled on uneven ground. 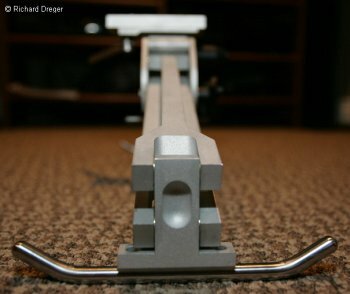 The reason Henry used ski-like runners rather than flat pads is that this allows the rifle to slide slightly reward during recoil. That eliminates much of the hop and rotation associated with conventional bipods. Photos Copyright © Richard Dreger, used by permission. 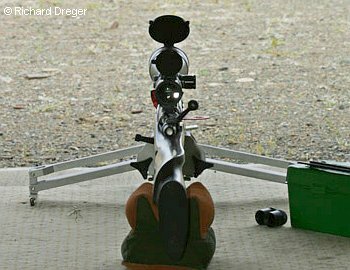 Share the post "Canadian "Ski Bipod" for F-Class Shooters"
If you have an Anschütz air rifle, check the sidewall of the air cylinder. Look for the number at the right of the top line (marked in blue in the photo above). If the number matches the serial numbers on the recall list above you should immediately empty your air cylinder (and do not refill it). Please return the empty air cylinder to J. G. ANSCHÜTZ GmbH & Co. KG, department “air cylinder check”, Daimlerstr. 12, 89079 Ulm / Germany, or send it to any authorized ANSCHÜTZ sales partner as listed on Anschuetz-sport.com. CLICK HERE to download Air Cylinder Recall Information Sheet (.pdf file). 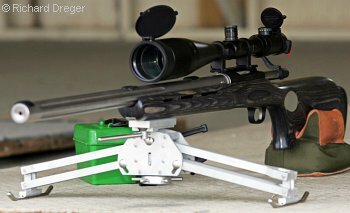 Share the post "Recall on older Anschütz Air Rifle Cylinders"